Vocalist NIA LYNN is the featured performer in two very different new works. Next month she is involved as voice coach in a brand new musical called Tiger Bay. And later this week a new dance work Goat opens, featuring Nia as vocalist, in songs of Nina Simone. Originally from Pontypool in South Wales, and a native Welsh speaker, Nia is one of the most in-demand vocal coaches in the UK. 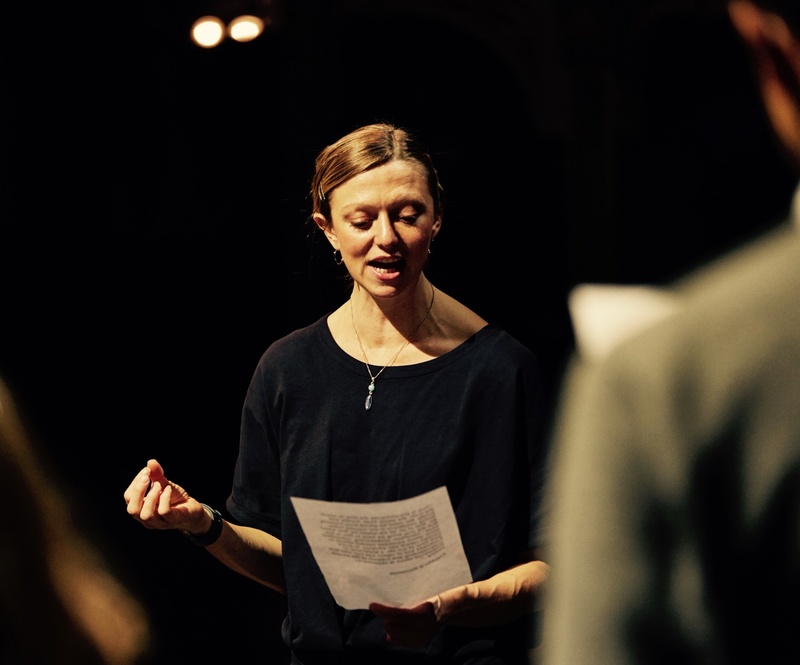 She teaches singers at the Royal Academy of Music, Guildhall and Royal Welsh College of Music and Drama, freelances in the voice coaching department of the Royal Shakespeare Company, and works with the Donmar and the Young Vic theatres. She has an annual residency in Australia and one in the US. LondonJazz News: How did your work with Rambert and the piece Goat get started from your perspective? 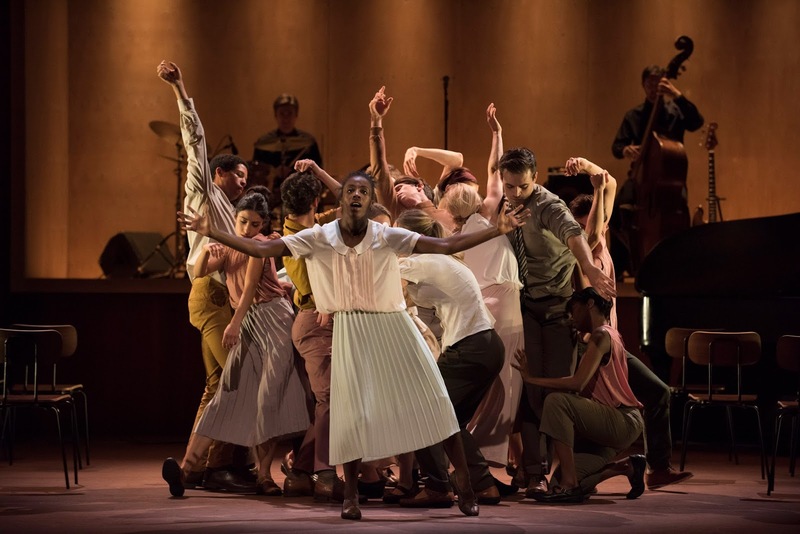 Nia Lynn: It was an email sent to Pete Churchill from one of the musicians in the Rambert band asking him if he knew of any jazz singers who could connect with viscerality of text and narratives. He sent me to them. I went to meet them and got the part, so that was that really. LJN: "Viscerality of text"... can you explain what that means? NL: When Nina Simone sang or spoke her music, her text, there’s a very visceral quality to her delivery. Whenever she sings or speaks on stage, it feels very sincere, and very muscular. As opposed to later Billie Holiday, who is slightly more vowel-orientated or Anita O’day who’s more consonant orientated, Nina Simone tends to use both. Obviously the repertoire Nina chose was quite vast, you know she would sing a Bob Dylan song and then a Beatles tune and then a standard from the 1930s and then she’d write a protest song. It feels like the repertoire she chose, and the way she delivers it, comes from a very muscular sincere place in terms of her own narrative and reason for singing it. LJN: In your own repertoire, were there any Nina Simone songs that had left a mark on you or were there any that you sang a lot? NL: To be honest, before doing the Rambert project, I’d listened to her now and then, but I wasn’t that familiar with her work. I was a fan of her sound, so it’s been brilliant as a research project for me to get into her repertoire, to read about her history, her life, her various sources. There was definitely no hint or no attempt to imitate her when we were performing, but I did want to capture an essence of her vocal technique because that’s what I’m into. I'm very much a voice coach in that sense, so I really wanted to capture some of the things that make Nina Nina. A lot of it of course was articulation, some of it was inflection and melodic variation, some of it was timbre and vibrato, so I’ve really tried to go into a sort of study of what makes her sound the way she does, and make her text sing out the way it does. It’s been a really great opportunity in getting to know her. LJN: Are there particular songs where you’ve really swum deep and found what you were looking for? NL: The song that springs to mind is Feelings, and the way that Nina sings it is totally different to the original composition, and she sings it at the Live at ‘76 Montreux concert which is the one we’ve been looking at, because of her way of performing and her directness to the camera and the audience. That is a big part of the performance of Ben Duke’s piece, Goat. She sings that just after a song called Stars, so Stars sort of segues into Feelings, but her timbre and the change of timbre, use of vibrato or lack of, the way she growls and spits out some words and uses a beautiful head voice... it’s great! LJN: How long is the show? NL: At the moment it’s running at about 45 minutes, but we’re hoping to get it down to 35. The Rambert Dance Company have got three other choreographers as well as Ben Duke, so they’ve been learning three other pieces, so in an evening the audience will experience three other pieces. LJN: What are the numbers of people onstage, who else is involved? NL: For Goat there will be me and a trio, and 22 dancers. The pianist is Yshani Perinpanayagam. She is not a jazzer, she studied at the Guildhall , she can play Rachmaninoff like a little devil! She’s very small and petite, but my goodness she’s got weight in her hands. She’s transcribed absolutely every nuance of Nina Simone’s piano solos, her voicings, the timings she’s a wonderful transcriptor in that sense. She’s the resident pianist for Rambert Dance Company, so we’re very lucky to have someone so adept at transcribing. LJN: Had you worked with dancers before? NL: No, well not as a singer. I’ve worked with them of course in a theatrical context, but I haven’t worked with them in relation to me singing, certainly not as closely as I have done in the last couple of months. It’s been a real experience. LJN: And I remember you also teach yoga? NL: Yeah, in the last couple of years I’ve trained as fully qualified yoga teacher. I’ve taken that interest a little further. It seems to be a theme with me - the holistic connection between voice and body has always been something I’m interested in. So working with Rambert, being with people who are very interested in their bodies, and very much in their bodies has been a great experience. LJN: Tell us about Tiger Bay. NL: Tiger Bay is a joint production between the Welsh Millennium Centre and Cape Town Opera about what liife was like in the Cardiff docks, and the integration of lots of different people relating to industry. NL: Well... if time permits and things fall into place, I'm hoping to release another Bannau Trio album next year with Gareth Lockrane and Ross Stanley.